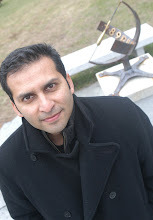 Irtiqa: Galileo's fingers to be reunited! Three fingers were cut from Galileo's hand in March 1737, when his body was moved from a temporary monument to its final resting place in Florence, Italy. The last tooth remaining in his lower jaw was also taken, Galluzzi said. Now, if you are asking why take these parts? 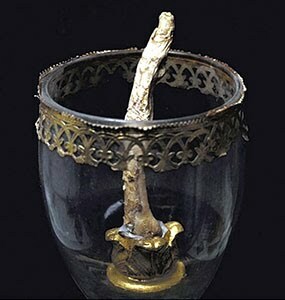 As with a fine wine, it took some years for Galileo’s finger to age into something worth snapping off his skeletal hand. The finger was removed by one Anton Francesco Gori on March 12, 1737, 95 years after Galileo’s death. Passed around for a couple hundred years it finally came to rest in the Florence History of Science Museum. Today is sits among lodestones and telescopes, the only human fragment in a museum devoted entirely to scientific instruments. And Anton Francesco Gori was a priest. Again we see it is hard to shape a clear-cut science versus religion narrative. Not to mention the fact that Galileo's remains were transferred to Basilica of Santa Croce in Florence - the largest Franciscan church in the world. He is not alone there. Apart from Franciscan nobles, remains of Michelangelo, Machiavelli, and Rossini also reside in the Basilica. Here is the full view of the Galileo sculpture inside Santa Croce in Florence (a close-up of his bust is above-right). It is very nicely done and has a prominent place in the church (Michelangelo's sculpture is across from Galileo's and is of the same size). Notice that people light up candles for him. His body is underneath this sculpture, one floor below.